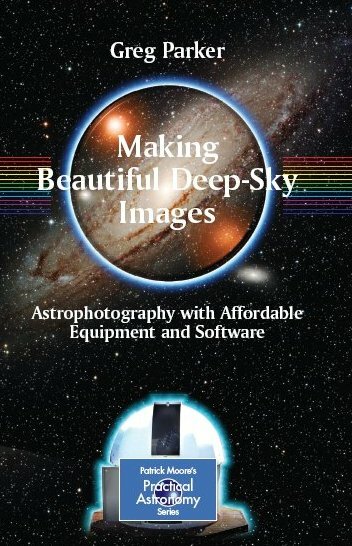 The aim of this book is to show you how to take those remarkable deep-sky colour images you so often see in popular press science articles – and to do so in the shortest time possible. A whole Chapter is dedicated just to “pretty pictures”. The idea here is to motivate you to go out and take deep-sky images yourself, your main motivation coming from the fact that I took all of these colour pictures within two years of buying my first astronomical CCD camera. If you are willing to put in the time and the effort, you will be able to produce similar quality work just as quickly. The equipment I discuss is not ultra-high tech, nor ultra-expensive, all components, optical and electronic, readily available at very modest cost. Both commercially available amateur reflectors and refractors are considered, so that if you have preference of one type of instrument over the other you should find the relevant information within this book. very seriously addicted – but I hope I have managed to get across to you the reader, some of the enjoyment and inspiration that has led to my own obsession with deep-sky imaging.